It's hard to try new things—for adults as well as children. It's even harder to stay the course when something is more difficult than we thought it would be, or when things don't work out the way we hoped. Yet flexibility and perseverance are essential to success in all areas of life, at all ages and stages. 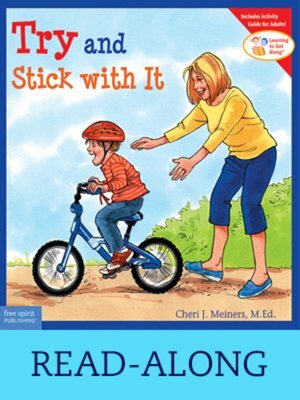 This book introduces children to the benefits of trying something new and the basics of stick-to-it-iveness. Read-along edition.